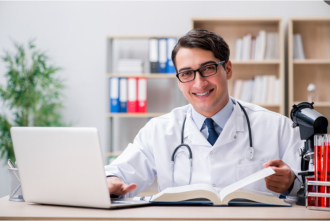 Hiring an effective medical director makes a successful healthcare organization. But we know that hiring one is like picking the finest grain of rice. There are thousands of applicants to choose from. And with that number, how can you be certain that he/she is the one? Nursing on Demand, Inc., a team geared towards Nurse Recruitment in Florida, knows that when you are hiring a leader for your institution, you need to look for one that fits your organization’s distinctive needs. Still, there are universal qualities that are possessed by a successful medical director. A thriving medical facility is defined by their patients. Medical directors should be able to understand that. That is why when you are looking for your medical director, it is important that the future director exhibits this quality. This professional needs to be concerned with every procedure done by his or her team to the patient. He or she should be someone who has prompt and good decision-making skills. When you are on top, you are always in a position where you need to choose between your staff and your patients. Your patients should be the priority yet you also need to defend your staff because they are on your team. Working long hours may put a toll on your decisions but medical directors should remain strong to make tough decisions. You need a medical director who can set the tone of your organization by being open, honest, and ethical. He or she should be trustworthy to perform what is right, especially when there is no one supervising them. Because your organization is dealing with a human life and medical emergency, there is a need to be fast in responding to the patient’s unique needs. The most sought-after traits of a medical director are strong communication skills and high levels of responsiveness. You do not need a medical director who always puts you on a line or one who decides to move your concern because he or she is “doing other things.” You are in a medical organization and when you are in one, you need fast-paced decisions. A medical director is not only a doctor. He or she should also be the secretary, consultant, planner, decision maker, partner, leader, etc. of a medical organization. They wear many hats in order to keep the organization together. When you are the leader, you are the busiest of the bunch. You have the most workload in the institution. For that, medical directors need to be adept at making a system and a process to stay organized. Does your institution need a medical director as soon as possible? Our Nurse Staffing Agency in Jacksonville FL can help you. Leave a comment or share this blog. This entry was posted in Nurse Staffing Agency and tagged Healthcare Organization, Leader, Medical Director. Bookmark the permalink.